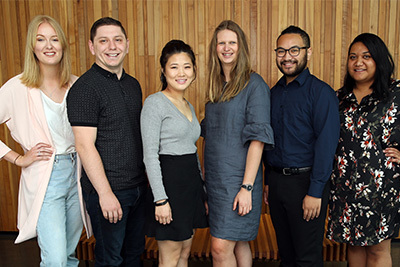 The goal of the Artificial Intelligence (AI) Initiative is to bring together all AI work conducted at AUT, from undergraduate and postgraduate study to industry and community collaborations. In this section you’ll find details about AI research projects and groups, our staff and partners, and opportunities for AI study and learning through seminars and conferences. Artificial intelligence (AI) is the current technological revolution in the world. A recent report by PricewaterhouseCoopers predicts that AI will significantly increase the GDP of the world – up to 26% for China, 16% for the USA, and 10% for countries like New Zealand. AI is expected to change the professional activities of millions, threatening thousands of traditional jobs and creating job opportunities in new exciting areas. ​Stephen Hawking said: “AI could be either the best or the worst thing ever to happen to humanity”. Professor Nikola Kasabov’s view is that it will be neither, and perhaps in 20 years’ time, AI will become a common tool just as spread sheets are now. Regardless of the views, there are currently many activities world-wide and also starting in NZ that address both technological and societal issues of AI. Companies are in a race to develop new AI technologies in order to keep their competitive edge. Hence, AUT as a university promoting new technologies and innovation, and embracing the motto "for the changing world", is leading the response to this technological revolution. Professor Nikola Kasabov, one of the co-founders of the AUT AI Initiative, gave a Gibbon’s lecture in 2017 titled ‘From Aristotle to Deep Learning Machines’ that provides a broad overview over the development of AI over the last 2500 years. 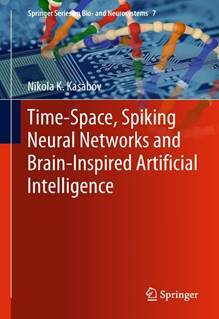 This book presents background knowledge and new generic methods for spiking neural networks, evolving spiking neural networks and brain-inspired spiking neural networks. Find out about upcoming events including seminars, workshops and conferences.